Matryoshka Mania! 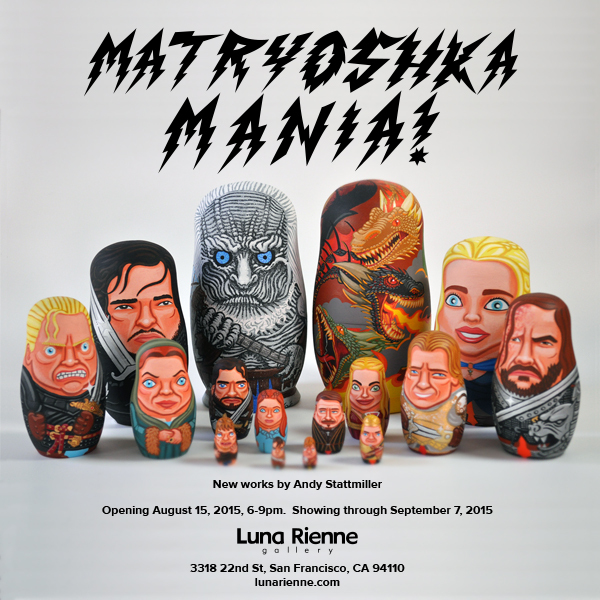 I'm having a solo show at Luna Rienne Gallery in San Francisco. There will be an array of nesting dolls and paintings! Come by for the opening on Saturday, August 15th, 6-9pm. If you can't make it, don't worry, the show is up until September 7th.